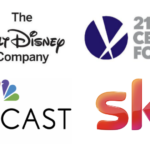 UK regulator, The Takeover Panel, has announced details of the auction that will take place that will settle if Fox or Comcast will buy European communications and entertainment provider Sky. In the second round, Comcast can make an increased bid, even if Fox does not increase their bid. After the auction is complete, the Takeover Panel will announce the prices offered by both Comcast and Fox. October 11, 2018 is the last day the offers can become or can be declared unconditional as to acceptances.